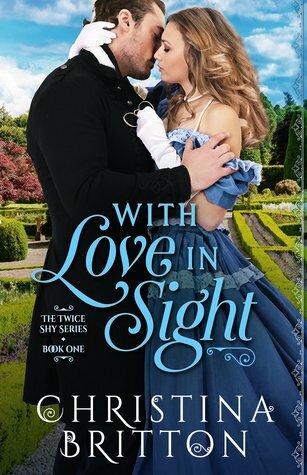 I'm a sucker for historical romance books with chicks who wear specs and With Love in Sight is no exception. There were a couple of points where I wanted to bash the characters' heads together and yell WAKE UP! but that happens in any fulfilling romance at some point novel, historical or contemporary and Britton was careful not to bog down the story with any TSTL characters. Overall I found her style engaging and the story kept me turning the pages and rooting for love. I'd read another Britton book in a heartbeat. Sign into Goodreads to see if any of your friends have read With Love in Sight.